Brajwasis invited Babashri to show their strength for coming Yamuna andolan planned by MaanMandir. 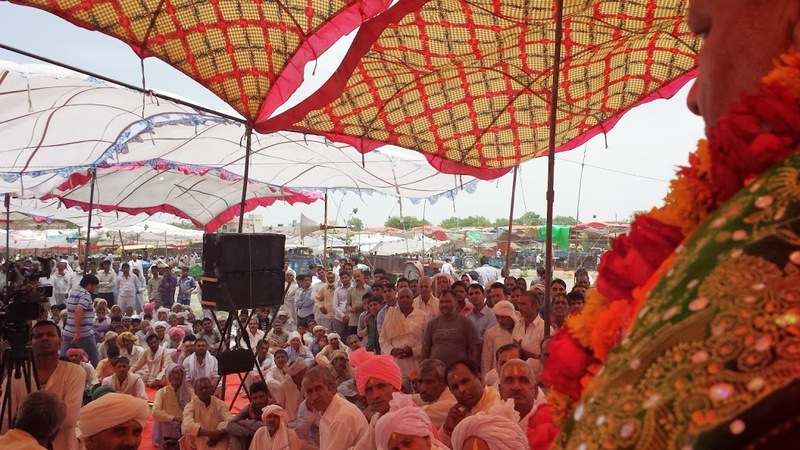 Approx 10,000 Brajwasis (including 100’s of Sarpanch) gathered here in Maholi village near Hasanpur. They are again ready to move for Yamuna Maharaani.